Step 1: Research the situation you are writing for and gather information to help you decide what needs to go into your proposal. 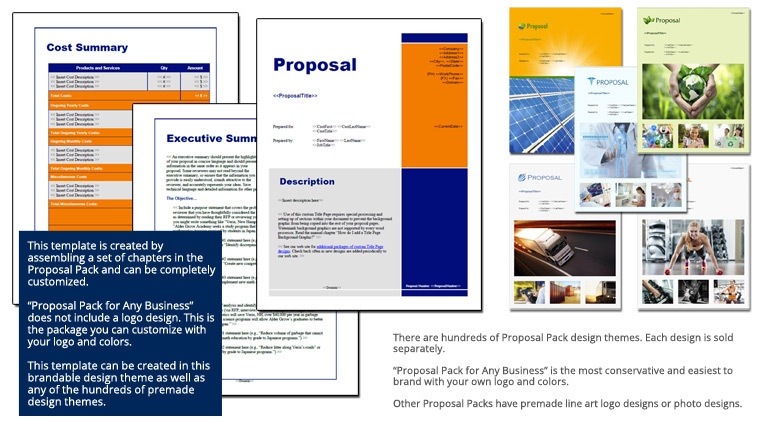 Step 2: Select a Proposal Pack design theme (or set the color scheme and logo customizations). Step 3: Select a list of chapters to match your situation such as this list. Step 4: Build your custom proposal template. Step 4: Fill in the details and deliver to your client.